apparently in certain parts of this country it is considered delicious to put sliced sour pickles on your omelet. i opted out and had my omelet with tabasco instead. 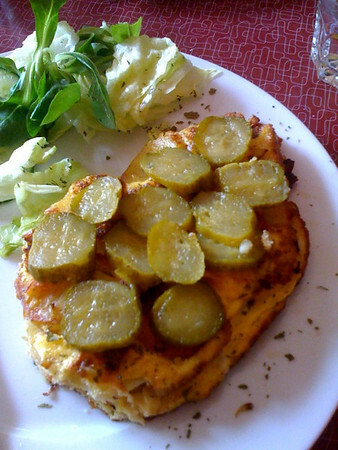 This entry was posted	on Monday, May 5th, 2008 at 16:18	and is filed under berlin, food. You can follow any responses to this entry through the RSS 2.0 feed. You can leave a response, or trackback from your own site.